Speak To An Agent Today About Your Columbus Oh Tow Truck Insurance Needs! Are you a new business owner looking to insure your first tow truck? Or are you an experienced towing service owner looking to find a better rate for your tow trucks? 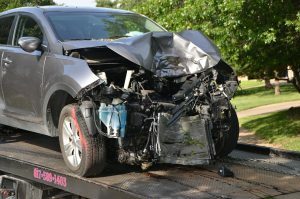 In either case, Pathway Insurance Services is here to help you secure some of the best rates available on Tow Truck Insurance in Columbus Oh. As an independent agency specializing in commercial insurance, we can shop the insurance marketplace for better prices and rates on Columbus Ohio Tow Truck Insurance being offered by multiple companies. Call our office before 5:30 pm Monday through Friday by dialing 800-998-0662 toll-free, chat with an agent using our online chat widget located at the bottom-right of your screen, or choose an option from the list of locations below and fill out one of our online forms. Our online forms are available every day of the week, day and night. Requesting a quote is totally free, so go ahead and submit your request now! In our last entry we told you we would be presenting a fictional insurance coverage scenario to help illustrate how your tow truck insurance policy might apply in a real-world scenario. Let’s dive in. Zeke Ziggler and Robby Bottom have been best friends since they were kids. After high school they both took on jobs as tow truck operators in their hometown, albeit for different towing companies. Zeke works for Fred’s Towing and Robby drives for Sam’s Repo. Every now and then, Zeke and Robby meet up at their favorite sandwich joint and grab lunch together. After chatting about the usual topics, Zeke begins to brag that the model of tow truck he and his coworkers at Fred’s Towing drive is superior to the model employed by Sam’s Repo. Naturally, Robby takes issues with this and begins to argue the opposite case. After ten minutes of comparing weight, dimensions, horsepower, and every feature under the sun, they seem to be getting nowhere. What does Zeke plan to do? Find out next time in part 2 of our Ohio Tow Truck Insurance series. Request a Free Quote on Tow Truck Insurance in Columbus Ohio Today! You won’t know how much money you could be saving on Columbus Oh Tow Truck Insurance until you request free quotes, so why not request a free quote today from our agency? Our agents are standing by to help you with your Ohio Trucking Insurance needs. Allow us to help you save by giving us a call today, chatting with us online, or using our digital quote request form.